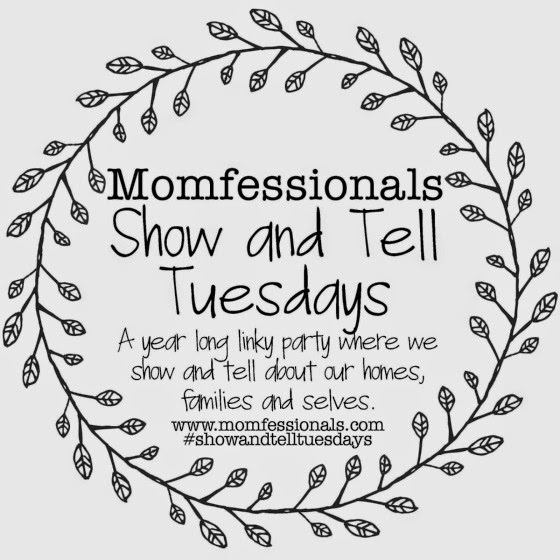 Today I am linking up with Andrea @ Momfessionals for Show and Tell Tuesday! Today we are discussing names - where did yours come from, your kids, your dog! Or whatever else you name around the house. My great grandmother "MaMa" always wanted a daughter named Anna. It was her grandmother's name (so my great, great, great grandmother!) She had EIGHT kids and my PaPa picked out all eight names, never letting her use Anna. So when I came around in 1989, Mom decided she would give me the first name Anna. I had the pleasure of getting to spend eleven years with this incredible woman. She was a pistol - always blunt - and I'd like to think that's where I get my lack of filter from! Love this lady, and would love to have a conversation with her today!! Grace is my great grandmother's name. She is the mother of my grandfather Wilbur - plus Danny, Jeanette, Martina, Linda, Betty, Warren and Jimmy. (If you can't tell, I have a BIG family!!) I never had the pleasure of knowing "Big Mama" but I am told that she was the kindest, most gentle and smartest homemaker ever. I can see this shining through so many of my family members, and I feel absolutely honored to be named after this amazing lady! Side note: also very thankful my Mom decided for me to go by both names! I wouldn't change my Southern double name for the world! So on to my hypothetical kids.. I think every girl loves playing this game. What are you going to name your kids?? AJ doesn't have suggestions, but he definitely will shoot something down in a heart beat. Luckily he doesn't have any qualms with some of the names I have had picked out for forever! I have this big dream in my head that we will one day have a boy named Baylor and AJ will get a job at Baylor University and we will live in Waco, Texas and have a home designed by Chip and Joanna Gains. hahahha As my mother always tells me, I put the cart before the horse. But it's fun dreaming, right?? Love the name Baylor! And that is a precious photo of you and your granddad on your wedding day. It's beautiful.